I have always loved Fearne Cotton and her quirky, unique style. Whether she's simply being papped en route to work, or walking the red carpet she just seems to get it right. Grunge or glamour, Fearne always looks so cool and effortless and manages to combine the trends perfectly. Oh and let's not forget her hair which is always on point. She totally inspired me to brave the chop, love a long bob! 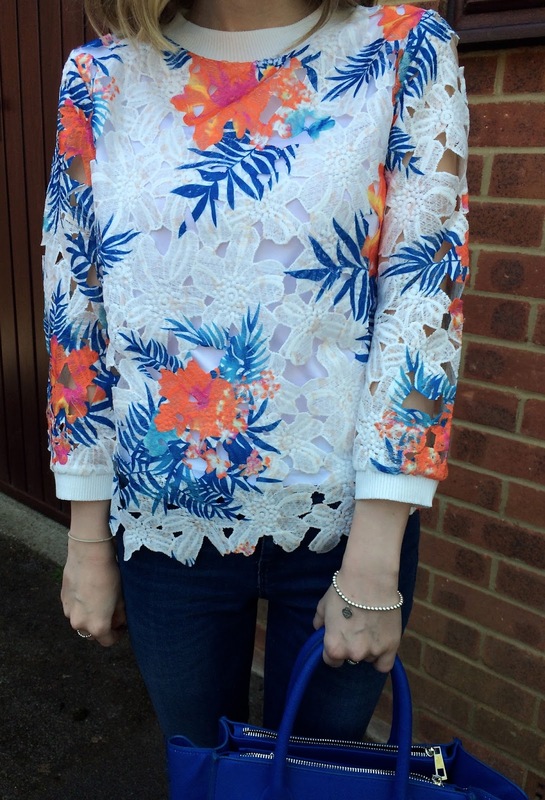 Fearne has created some lovely pieces for Very.co.uk and this oriental printed lace top is just perfect for summer! I love the delicate lace overlay and how it brightens up a simple outfit. 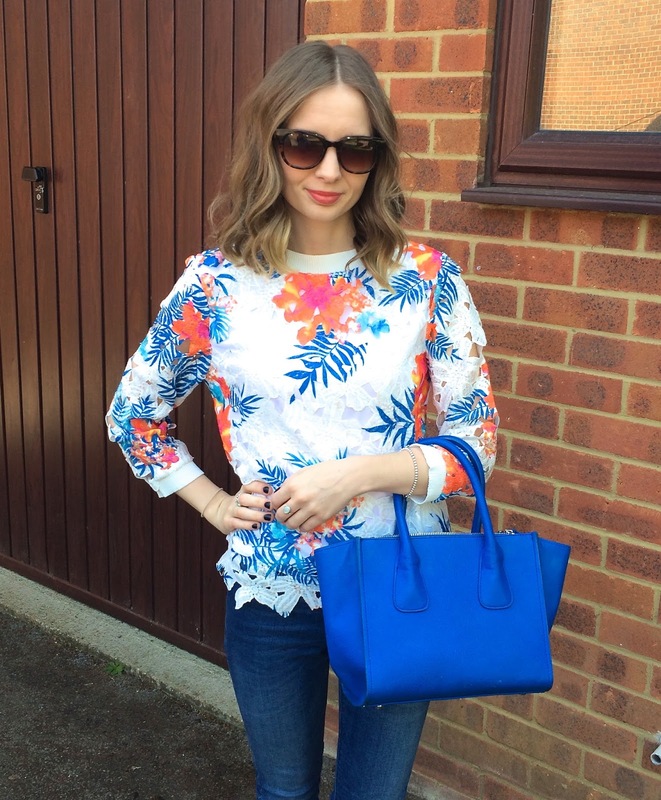 I have accessorised this outfit with one of my most used bags - it's the perfect size and the best colour! oooh very lovey top, love the colours and the design, very pretty and feminine too, You styled it nicely. Love it!